THE BEST PART IS THAT THIS RESOURCE IS A NO PREP CENTER!! 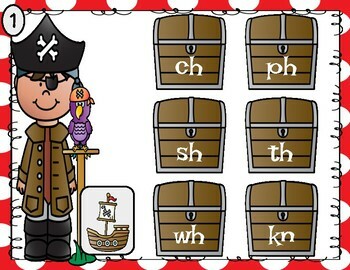 --The Tablet/Ipad version (PDF) allows you to share through Google Classroom and students will use their finger or stylus pen to write directly on their device to circle the correct digraph. 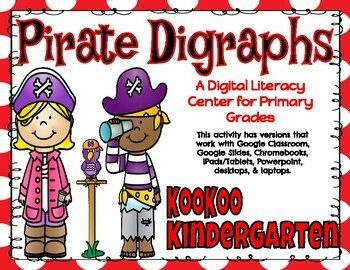 --The Chromebook version has students drag the blue circle around the correct digraph. 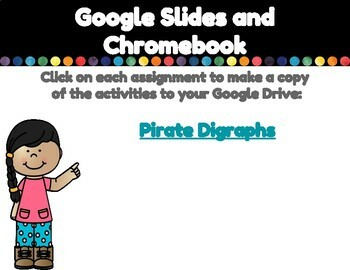 --The Digital version allows you to use Google Slides to display the activity and students will circle/color the answer on the printable recording sheet. --The Powerpoint version allows you to use a computer/device and students will circle/color the answer on the printable recording sheet.